Body Construction made of AISI 304. Top with Double Frying Chamber made of AISI 304 16-guage. For Heating Used V-shape burners with separate pilot and control Valve. Working Temperature (From 50° to 300°) Control Through a thermostat. 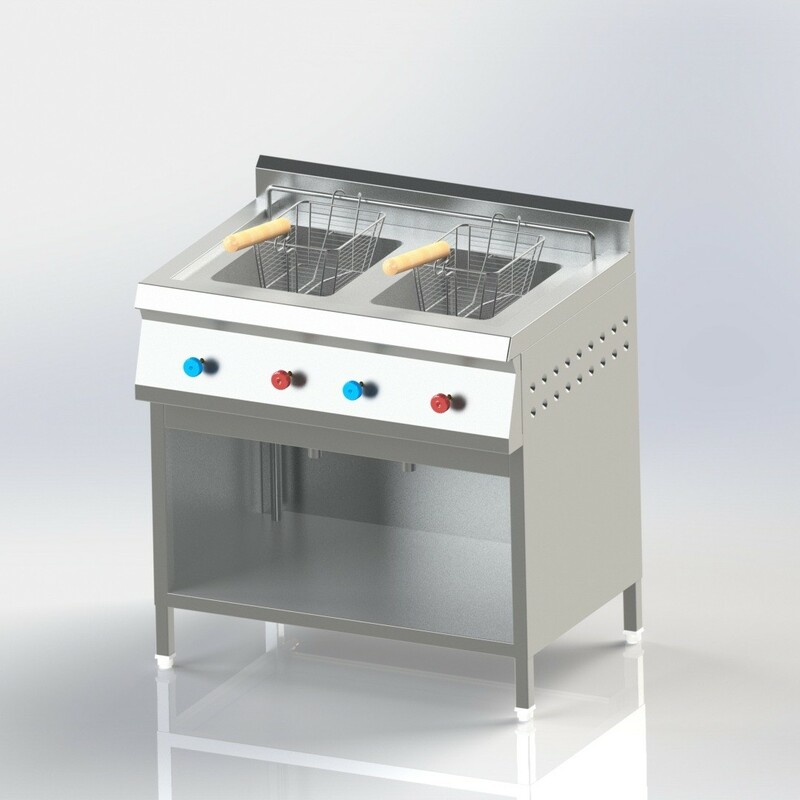 AISI 304 Wire form frying basket with hanger. Front is made of AISI 304 16-guage. Front Side provide thermostatic temperature controller. Side Covering and U/S are made from 18-Gauge AISI 304. 4 Nos. Legs are 16 Gauge AISI 304 SQ. Pipe. DDFG-1 850 X 750 X 850+100 24+24 Ltrs. DDFG-2 850 X 550 X 850+100 11+11 Ltrs.